Enhances color with warm golden tones. All blonde and brunette shades. Enhances color with warm and intense copper tones. Light-to-dark copper and red shades. Enhances color with intense red tones. All red shades, including intense dark blonde-red and light-to-dark brunette-red shades. Enhances color with deep and intense violet tones. Medium-to-dark violet and red-violet brunettes. Enhances color with warm golden and mahogany tones. All brunette shades (including those with golden and red tones) and dark golden-blonde shades. Enhances brunette colors for overall richness. Enhances dark brunette colors for overall richness. Enhances color with deep mahogany and copper tones. All brunette shades (including those with red tones) and dark copper-blonde shades. Reduces unwanted red and deep brassy tones. BOOST treatments enhance or intensify your color. BALANCE treatments counteract unwanted tones. Which color family does your shade fit in? Which shade is closest to your current color? Our secret weapon. 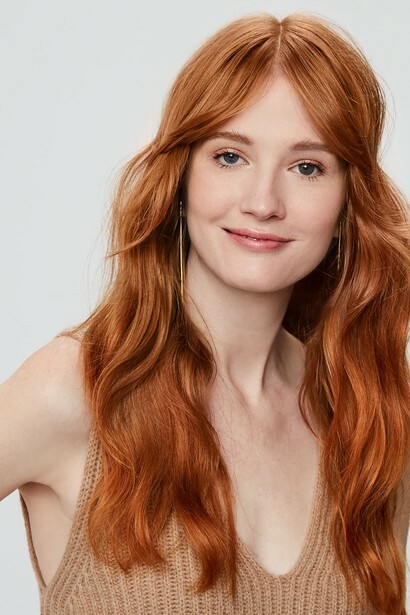 This color-enhancing treatment uses temporary pigments to bring out the best of your shade, helping to keep a rich shade vivid, take things down a notch, or enhance your natural color. "Boost" treatments add vibrancy for a color pick-me-up and "Balance" treatments help tone down warmth or unwanted tones. Best part? It rinses out after a few washes, and can be used up to twice a week. After shampooing and before conditioning, apply to wet hair and gently massage from ends to roots until hair is foamy. Leave for 2-3 minutes, then rinse thoroughly and follow with conditioner. This product is the answer to all my color needs! I have very thick, very long curly/wavy hair. It has always tended to skew towards red/gold, especially once my highlights start to fade. For how much hair I have I just can't afford to keep getting them redone. Enter Tint Rinse. I use it twice a week and leave it on for 10 minutes rather than 2-3 minutes that the tube directed. It has given me the PERFECT mushroom color which I LOVE. So simple to use, does not dry out. And for how much hair I have, I am amazed how long it's lasting. Already recommended to family and friends. LOVE LOVE LOVE. 67 of 69 people found this review helpful. Did you? I've been using this product for a few weeks now and am quite happy with it but I expected a bit more after reading the raving reviews about it. First of all, quite expectedly, it does dry out your ends but the good thing is that you can apply conditioner after this treatment. It is very liquid so even though I have mid length hair, I need very little product and am expecting this bottle to last a long time. The results are visible from the first application (It does eliminate about 80% of red tones) but it doesn't improve with multiple applications. I don't know how quickly the effect fades since I've never washed my hair without it since I got it (I only wash my hair twice a week and the bottle says to apply it twice a week so I just figured I should apply it all the time). The shipping was fast and the instructions on the bottle are very clear. I'll definitely buy this again because I've tried so many (and way more expensive) products over the past five years and nothing has come close to this effect. 29 of 29 people found this review helpful. Did you? I had been wanting to try this for awhile, but it has been out of stock. When it became available again, I added it to my monthly purchase. It's surprisingly lovely. It lathers in well and is very conditionner-like. It made my hair really easy to run my fingers through while rinsing and didn't leave any color on my hands, which, when you see the dark brunette color, was a bit worrisome. It also smells really nice and gave my hair a lovely boost in rich colour. 33 of 35 people found this review helpful. Did you? I tried this for the first time two days ago and fell in love. Not only does it make my hair softer but didn't leave a messy shower which I worried about. At first I could not decide if I saw a huge change in color depth but the first coworker I saw that morning immediently said "your hair is much redder today". That's exactly what I wanted to achieve. Good job Esalon. 22 of 25 people found this review helpful. Did you? The ONLY product that’s worked for my brass! I want to start by saying that I ABSOLUTELY LOVE THIS PRODUCT 😍 it has given me results that nothing else, not even a salon, has provided. I’m a natural dark ashy blonde, but have colored my hair black for years. 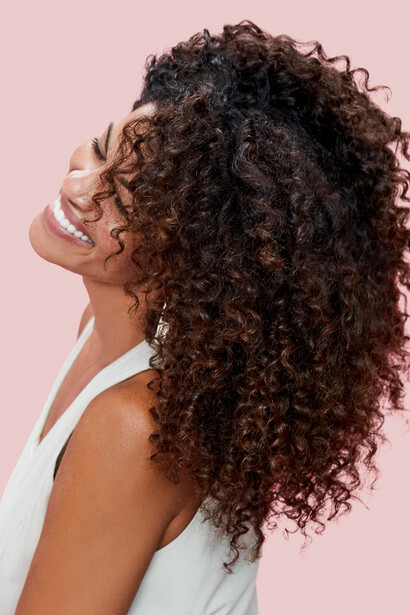 I recently decided to go back to my natural hair color, and as most of us know, the lightening of black hair color can be a nightmare! I’ve had multiple salon visits where, yes, though my hair is gradually getting lighter, I’m left with the unfortunate, yet expected, extreme brassiness that is not anywhere close to my natural ashy blonde roots. Bleach had lifted my hair to the right level it needed to be, so it was up to salon toner to get the remaining orange out. But no matter what formula my stylist used, we couldn’t beat the brassiness! Hesitant to go through another round of bleach on my now extremely fragile strands, I did my research and stumbled upon this product on a YouTube video (https://youtu.be/ODBQz6cKttg). Needless to say, I was STUNNED. I ordered it right away, received it about three days later, and was not disappointed the first time I used it, and had the exact same results as what you see in the video link I posted. I went from warm and brassy to cool and ashy in just 3 minutes! It is by far the BEST hair product I’ve ever tried for getting rid of copper hues. Will definitely keep buying! 6 of 6 people found this review helpful. Did you? Collagen retains moisture and improves manageability. Wheat Protein smooths the cuticle and adds shine. Water/Aqua/Eau, Cocamidopropyl Betaine, Lauryl Glucoside, Sodium Chloride, Guar Hydroxypropyltrimonium Chloride, Benzyl Alcohol, Acrylates Copolymer, Hydrolyzed Collagen, Hydrolyzed Wheat Protein, Dicaprylyl Ether, Lauryl Alcohol, Decyl Glucoside, Glyceryl Oleate, Mica, Dehydroacetic Acid, Titanium Dioxide (CI 77891), Citric Acid, Benzoic Acid, Sodium Benzoate, Phenoxyethanol, Fragrance (Parfum). May contain: Basic Red 76 (CI 12245), Basic Blue 99 (CI 56059), Basic Yellow 57 (CI 12719), Acid Violet 43 (CI 60730), Basic Brown 17 (CI 12251), HC Yellow No 2, Basic Red 51, Basic Brown 16 (CI 12250).